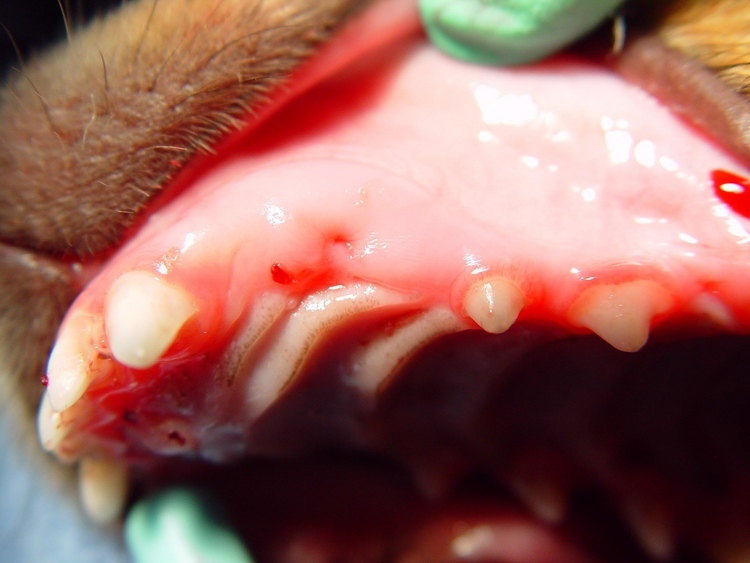 W e see many dogs, young and old, with teeth that fail to erupt. 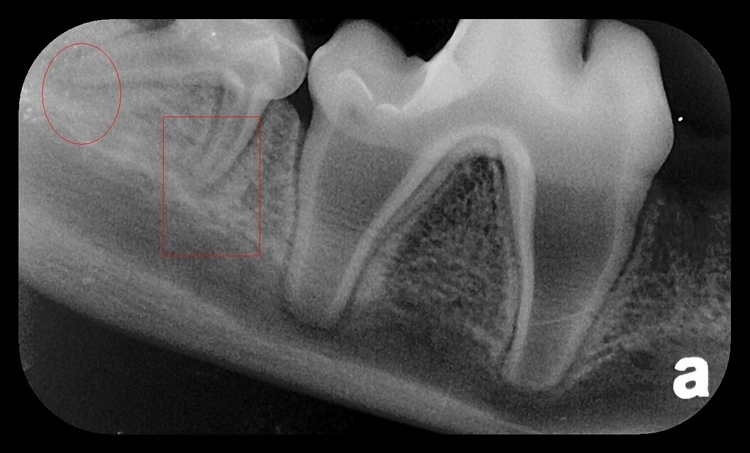 Embedded, impacted, and malpositioned teeth are physically blocked or malaligned when normal eruption should take place. 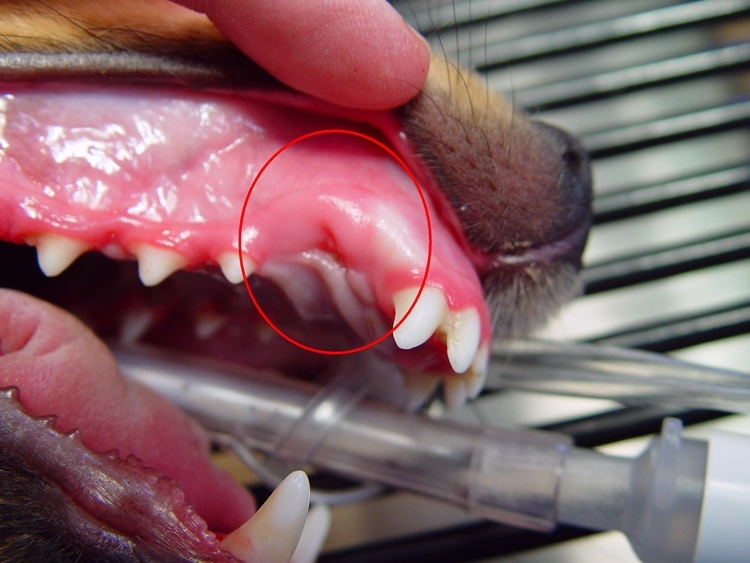 If not diagnosed and treated quickly, the situation will escalate into a more destructive condition. 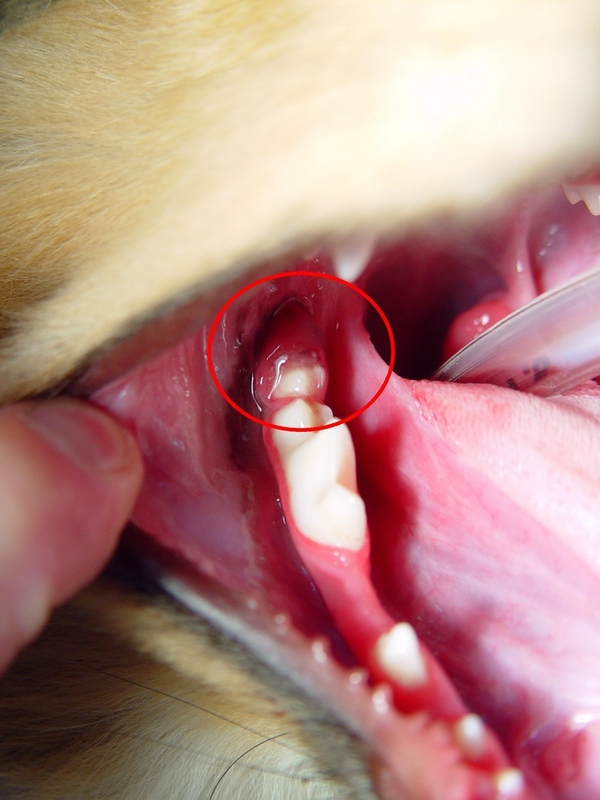 "Jackson," a 6-month old Sheltie, was referred to our dental clinic for an oral evaluation. 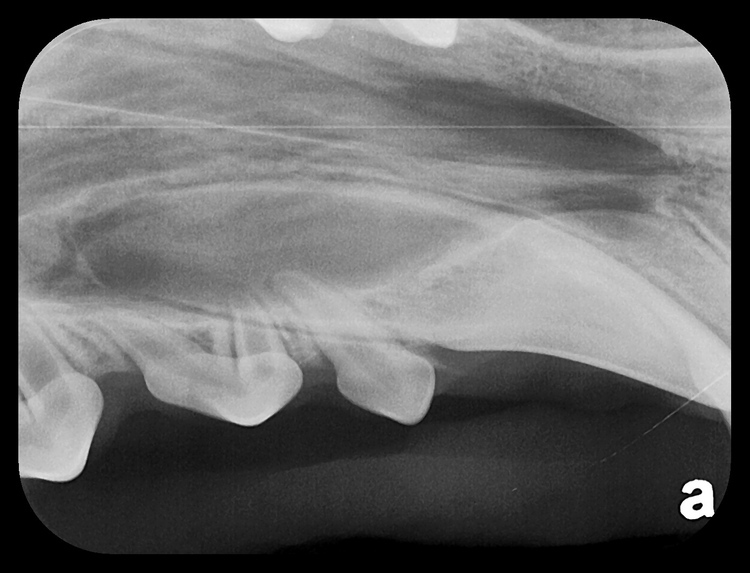 He was missing both maxillary canines #104 and #204. 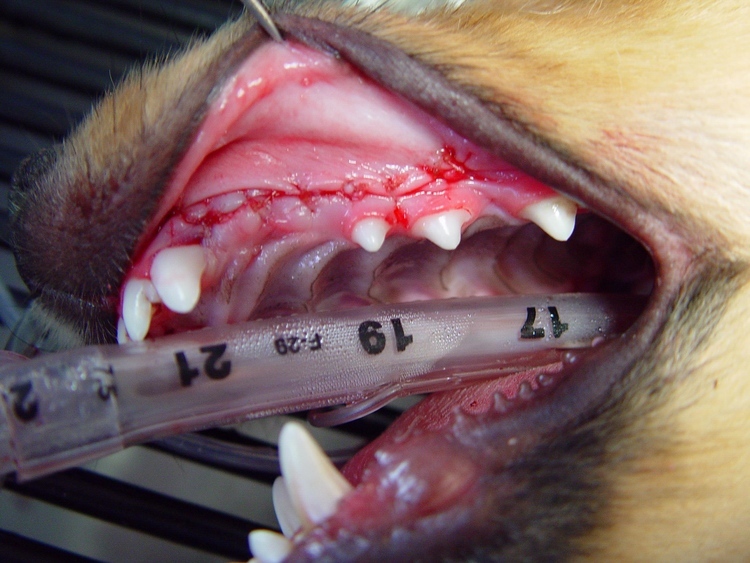 The owner was aware of oral discomfort and an inability to open his mouth comfortably. 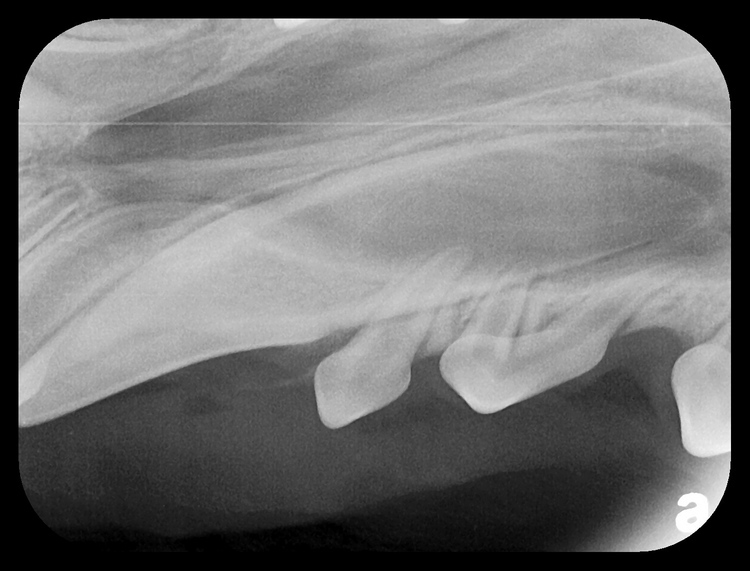 Our protocol consisted of a pre-op workup, oral assessment under general anesthetic, digital dental radiographs, and treatment of the presenting conditions. 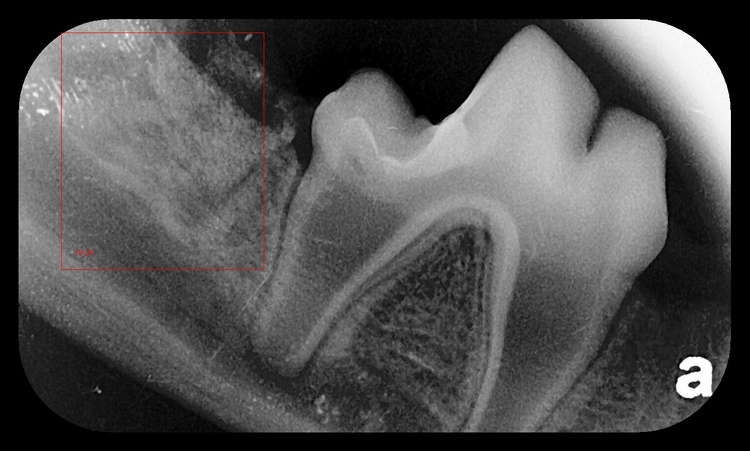 Exposure of the embedded teeth and gentle surgical extraction of the maxillary canines #104/204. 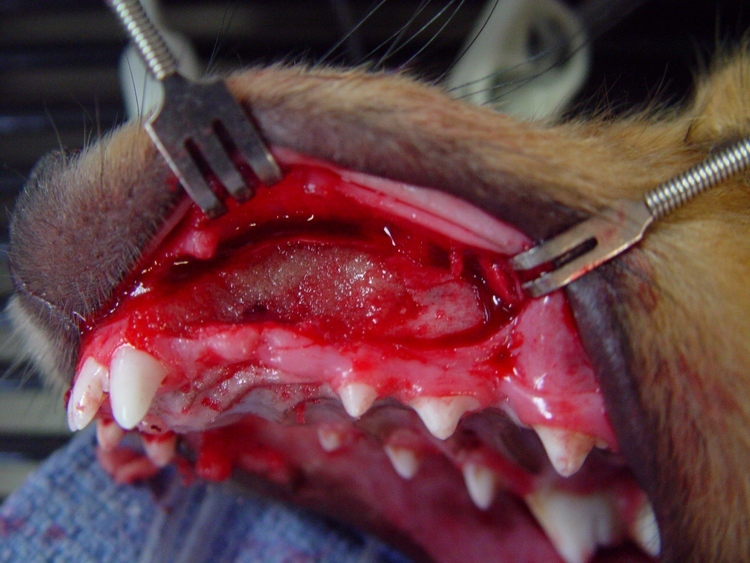 Debridement of the alveolus (socket) to remove all fibrous tissue and cyst remnants. 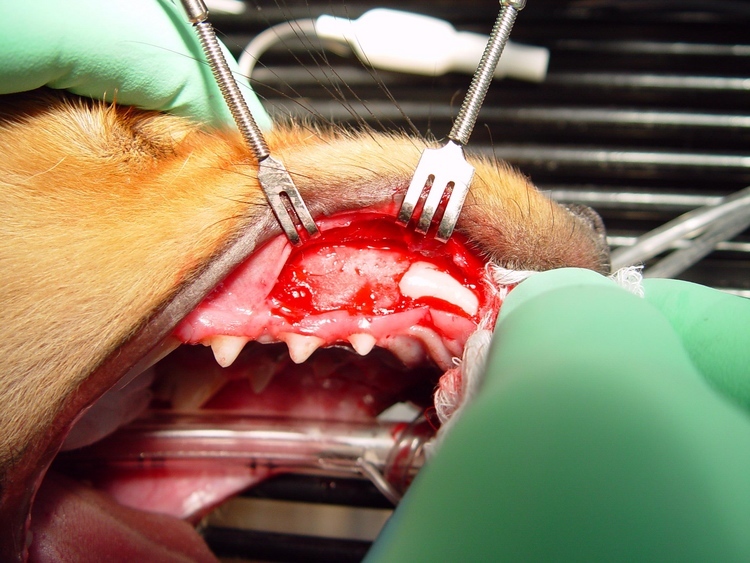 Gingival closure with absorbable suture. 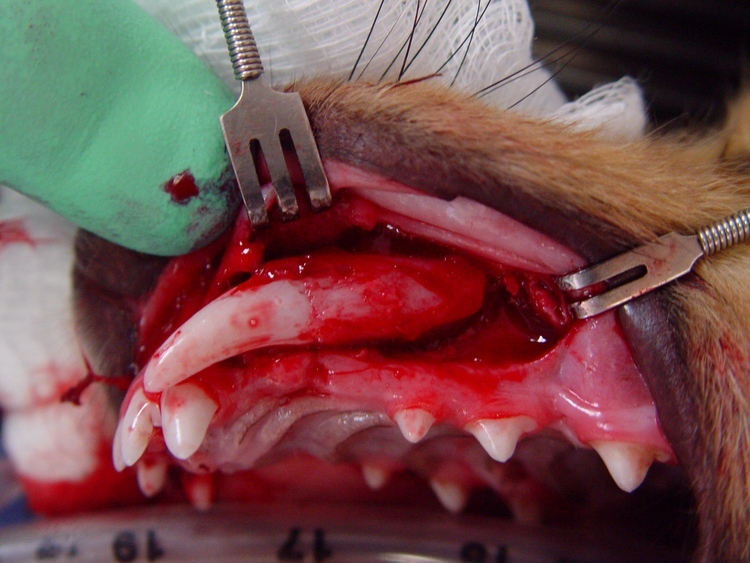 Surgical extraction of the mandibular molar #410, debridement, and gingival closure. 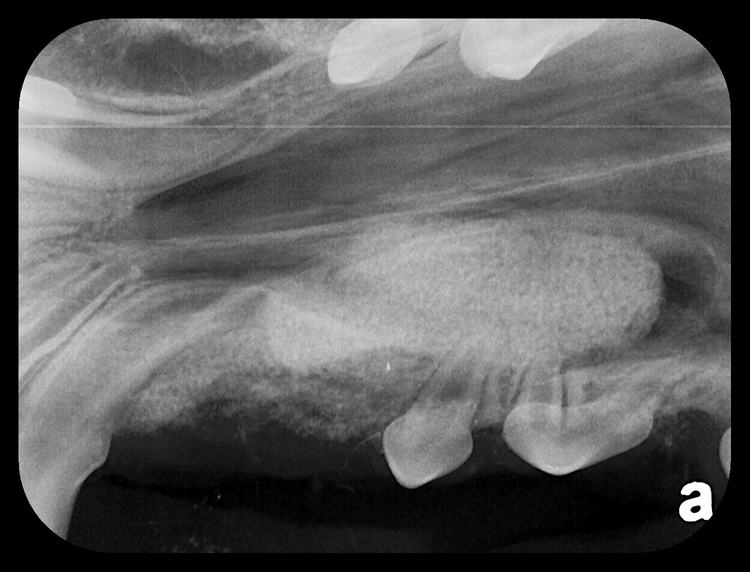 Gingival swelling, discomfort, cyst formation, and draining areas at the site are positive indicators of a significant problem. 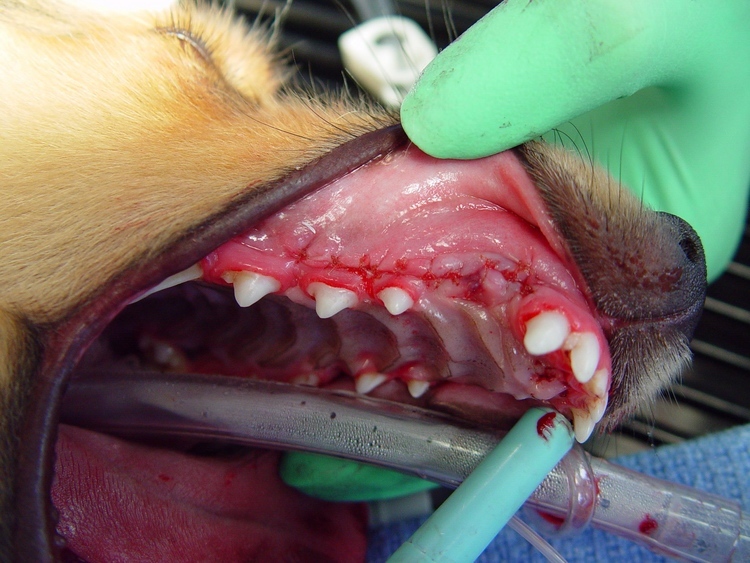 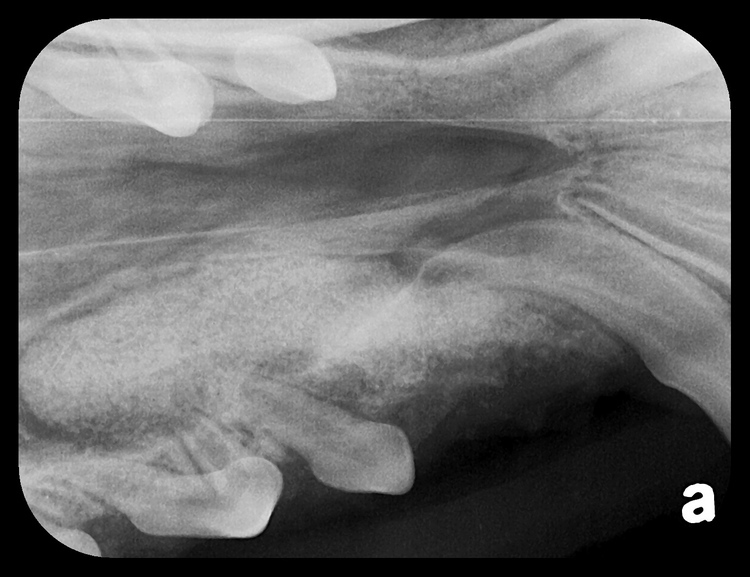 Differential diagnosis should include impacted or late erupting teeth, abscess, dentigerous cyst, tumor, etc. 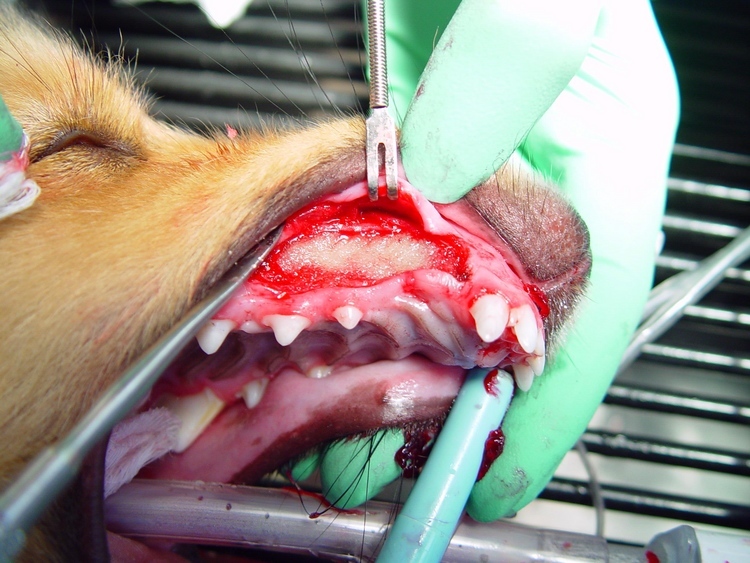 Early treatment will reduce the incidence of permanent damage and prevent a malignant conversion.